An annual event, AmeriCorps members from all around the state join together for two days of training, teambuilding and service. By the end of the second day, many projects are completed and visibly demonstrating the impact of AmeriCorps members in action. Financial support for the 2011 Russ Mawby Signature Service Project is provided by Ford Motor Company Fund and Community Services, Consumers Energy, Meijer, and Heart of West Michigan United Way, with assistance from the City of Grand Rapids Parks and Recreation. The service weekend in GR is the closing event of Michigan’s AmeriCorps Week. This weekend, more than 350 of Michigan’s AmeriCorps members from across the state are in Grand Rapids to focus on serving city parks and the Wealthy Heights neighborhood. As part of the 2011 Russ Mawby Signature Service Project, AmeriCorps members will assist with various community projects in the city. The 2011 Signature Service Project is a partnership between the Michigan Community Service Commission, Habitat for Humanity of Kent County, Friends of Grand Rapids Parks, American Red Cross of Greater Grand Rapids and Elemental Media. The Project is an annual event that serves a different community each year. Participants are part of Michigan’s AmeriCorps, a program of the Michigan Community Service Commission. The Michigan Community Service Commission is the state’s lead agency on service and volunteerism. â¨Also on hand to support the event will be the project’s namesake, Dr. Russell G. Mawby, and Grand Rapids Mayor George Heartwell. Throughout the project, a book drive will be conducted in order to gather donations of new or gently used books for the Schools of Hope AmeriCorps program at the Heart of West Michigan United Way. Donations will be distributed to public schools throughout Grand Rapids. Drop-off sites for the book drive include Sparrows Coffee Tea & Newsstand (1035 Wealthy SE), Wilcox Park (100 Youell SE), Richmond Park (1101 Richmond NW), MLK Park (900 Fuller SE), and Hillcrest Park (1415 Lyon NE). 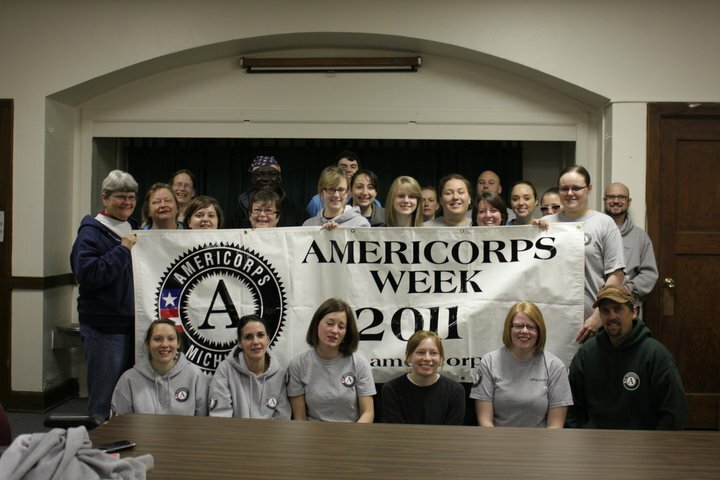 Michigan’s AmeriCorps is often described as the domestic Peace Corps. Members take on the challenges facing communities by serving within nonprofit organizations, schools, and other agencies throughout the state.